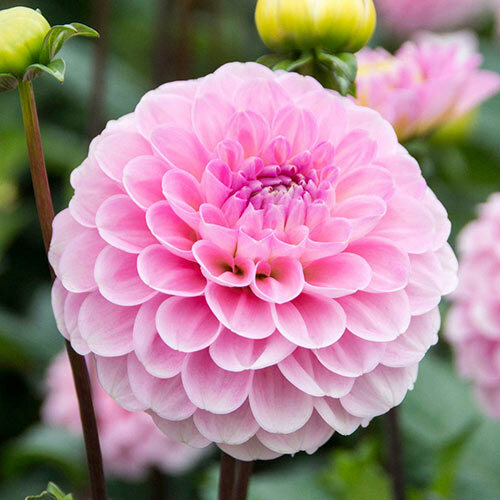 Perfectly ball-shaped and bubble gum pink, this extraordinary dahlia looks like it should be made out of candy. Dahlias are popular in the cutting garden because the blooms perform really well as cut flowers and they've just got so much look to them, so it's no surprise Wizard of Oz is fabulous for the vase. 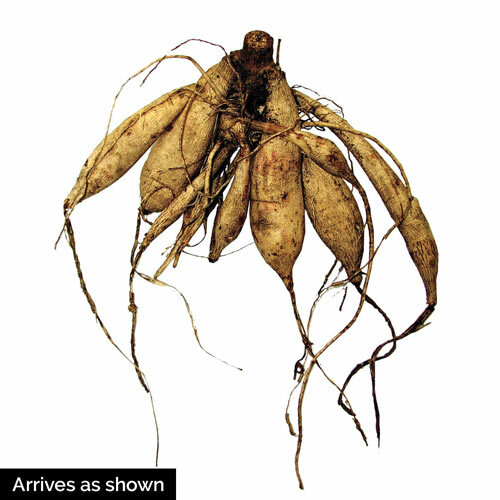 It is a tender bulb, which means it should be lifted in fall in most zones, and stored in an unheated garage for winter, however, you can plant it again next spring and it'll grow quickly and bloom vigorously all over again! A comparatively petite variety, Wizard of Oz puts on quite the show in containers. While home gardeners think they're all the rage, hungry deer rarely find interest in dahlias.